hello, Corinth. – here i am. 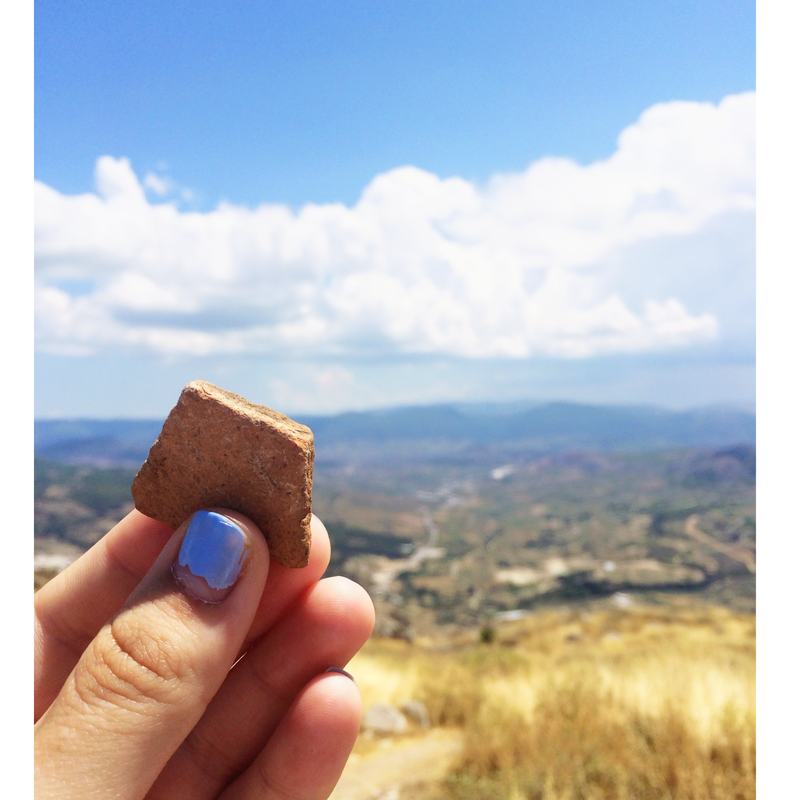 One of the coolest things about going to Greece was all of the history that it holds. Thinking about who has been there, what has happened there, how long ago that was. It’s all sort of over my head. But because of that, it fascinates me. 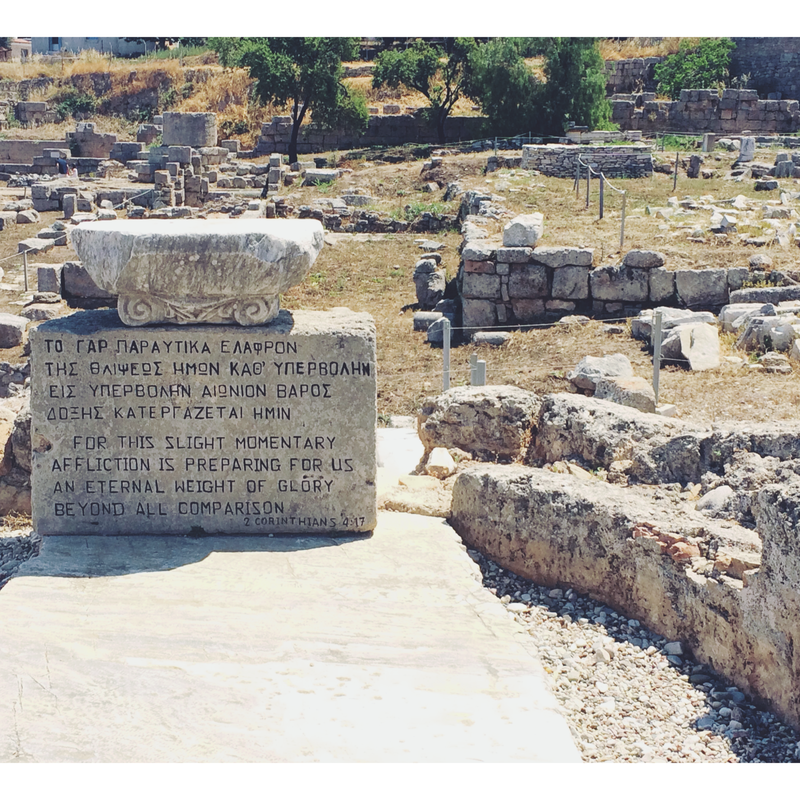 During our debrief, we traveled about 2 hours away to go spend the day exploring ancient Corinth. 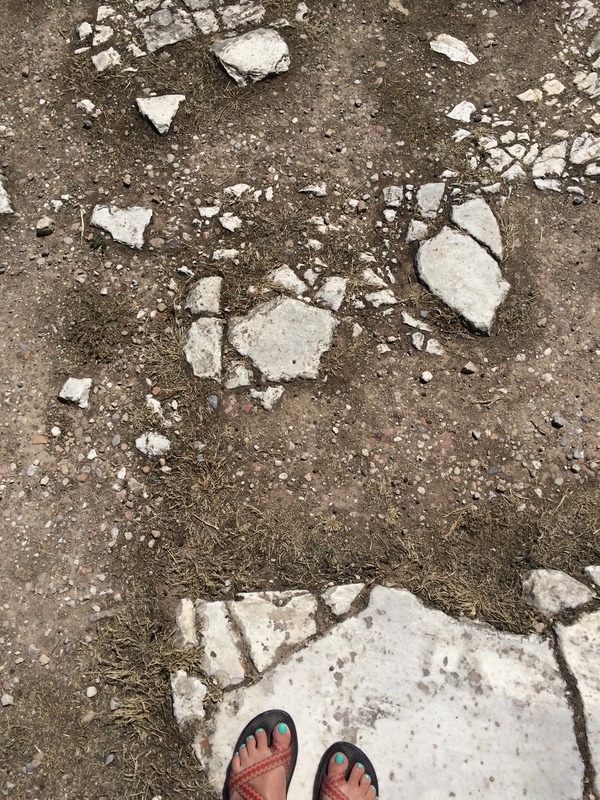 This is the city that Paul writes to in the New Testament… you know, 1 and 2 Corinthians? Yeah, that one. It’s so crazy to me to think that I was in the place that Paul had been. I literally walked in his footsteps. 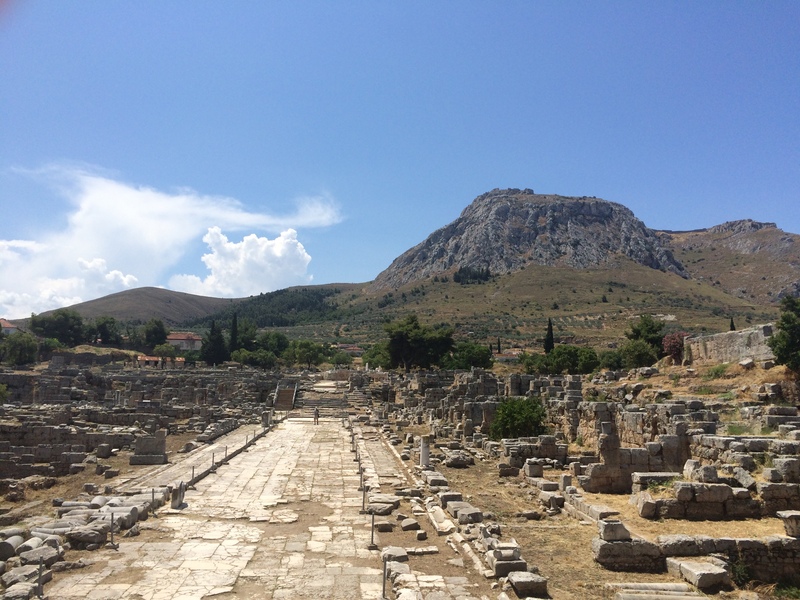 Paul came to Corinth to point the Corinthians to Christ and show them that He is their ultimate solution. A message that Greece, and everywhere, needs to hear today. “For this slight momentary affliction is preparing for us an eternal weight of glory beyond all comparison.” 2 Corinthians 4:17. This was one of the most beautiful things I saw in Corinth. Greek and English – saying the same thing – about the same God – and even though this was written 2,000 years ago, it still applies today. Our present troubles are so small in comparison to the glory God will receive that will last forever. Being a Christian isn’t easy. Sharing the Gospel in a world that is so far from what it was created to be isn’t easy. But it is worth it. These struggles will produce this glory that will outweigh our uneasiness in every way. Even though we are fragile and broken, God still uses us. In fact, He loves to use brokenness to show His glory. That is an incredibly wonderful thing, my friends. I loved this day because it showed me that God has been in Greece, is still in Greece, and will be in Greece even though I’m not. Previous Post great is Thy faithfulness. What a beautiful and memorable trip! Thank you. This will make us all want to go there.